“Charge it.” “Charge it to my account.” Those are words we hear every day in the business world. But did you know that those words have eternal significance, too? In Philemon 18 the apostle asked Philemon to have Onesimus’ debts transferred to Paul. “If he has wronged you,” Paul said, “charge that to my account.” One who has something imputed to him is accountable under the law. In the New Testament the believer in Christ receives the “alien righteousness” of God as a “free gift in the grace of that one man Jesus Christ” (Rom. 5:15). 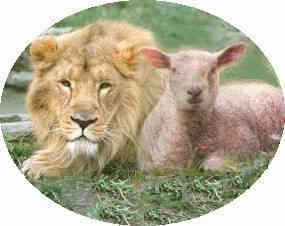 God reckoned Abraham as righteousness on the basis of Abraham’s faith alone (Gen. 15:6; Rom. 4:3). Similarly, God does not impute the iniquity of the believer who trusts in Christ’s death (Rom 4:7-8). This act of God is based, not on our human merit, but on God’s love and saving grace (Rom. 5:6-8). We stand in the need of God’s grace (Rom. 3:23; 6:23). In Adam, God judged the entire human race guilty, but only in Jesus is this fact fully understood (Isa. 53:4-6). But not only has humanity been declared guilty; it has acted out its personal guilt. Jesus said charge it to My account. The apostle Paul wrote, “He [God] made Him [Jesus Christ] who knew no sin to be sin on our behalf, so that we might become the righteousness of God in Him” (2 Corinthians 5:21). "God made Him to be sin for us, who knew no sin." God took all of our sins and "imputed" them to His Son, put them on Him, i.e., put them to His account. He charged them to Jesus' account. That is the meaning of "imputation." When you charge to someone's account you take something that belongs to one person and you put it to the account of another. If someone owes you a debt you take it out of his page in your ledger and put it to the page belonging to another person in the ledger. Therefore, you have "imputed" the debt to another. That is what God has done with our sins. He has imputed our sins to His Son, and He has punished them in His substitutionary death on the cross (Rom. 5:6, 8). Moreover, that is not all God does. We need something else. Just to take away my sins is not enough because before I can stand in the presence of God I must be positively holy. I need to be positively righteous. The Bible teaches us that God is righteous, just and holy. "God is light, and in Him is no darkness at all" (1 Jn. 1:5). Now anything less that His standard of righteousness cannot stand in His presence. I need to be positively righteous. God does something marvelous out of His grace. The moment you and I believe on God’s Son and His work for us He "imputes" His righteousness to us, He imputes that perfect observance of the law to us. We stand guilty before God because we have not kept the law. However, Christ has kept it perfectly and He is righteous before the law. God "put to my account," i.e. "imputes to me" righteousness of His own Son. When we stand before a righteous and holy God we are clothed in the righteousness of Christ. He clothes us with it. He puts it all to our account. Therefore, when the believer stands in the presence of God, God does not see you, He sees the righteousness of His Son covering you, clothing you completely and absolutely. That is grace! That is something only God can do. This is one of the most important doctrines in the Christian faith. The imputed righteousness is Christ’s perfect righteousness attributed to me. It is imputed to me or put upon me by God. When God looks at me clothed in the righteousness of Christ, God pronounces me to be a just man, a righteous man, and the Law cannot touch me!